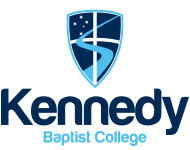 Kennedy Baptist College offers an elite Specialist Cricket Program in conjunction with Southern Cricket. Through this Program students have access to specialist coaching and technology normally only available to professional cricket players and coaches. Use of state of the art indoor facilities at Southern Cricket, with Level 3 Coach Luke Wimbridge. Access to turf nets and centre wickets that are curated by the WACA on Murdoch Oval. Early morning training sessions for each Year group at Southern Cricket are held weekly throughout the year. In Years 8 to 10 an elective can also be chosen that complement the program and is run during school time with specialist coaches. Competing in the Southern Associated Schools Junior and Senior (Grand Finalists 2014, Champions 2015) competitions run by the ACC. Competing in the highly regarded Kim Hughes Shield run by the WACA (semi-finalists 2014). The current Cricket Coordinator holds a Level 2 Coaching Accreditation. Each year incoming students who are interested in joining the Kennedy Specialist Cricket Program are invited to attend a training session held at Southern Cricket to experience the program. Please complete the following expression of interest form if you are interested in the program or like to be informed of future activities.